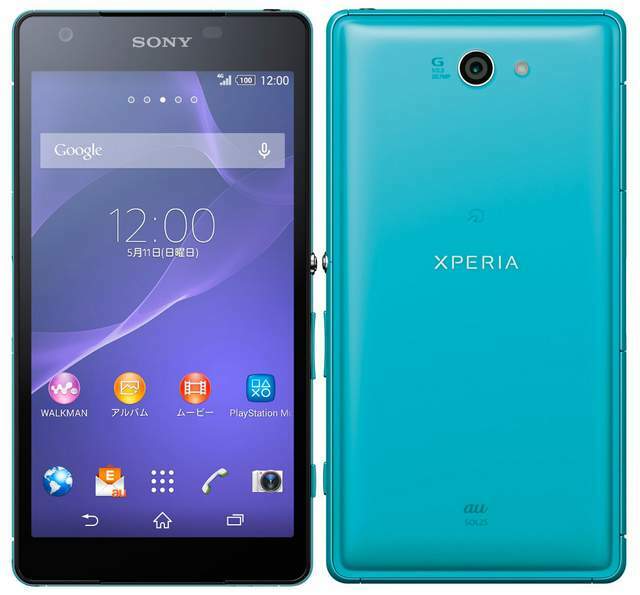 Sony Xperia ZL2 has been officially announced ( price unknown ) . Sony Xperia Zl2 ( ZL 2 SOL25) comes with amazing and Vigorous Specifications. It has 5 inch 1920 x 1080 pixels Triluminous Display by X-Reality. It is powered by 2.3GHz quad core Snapdragon 801 processor and runs on Android 4.4 Kikat. The Xperia ZL2 has 20.7 megapixel primary camera and a 3.1-megapixel front camera. The smartphone is capable of recording 4K Videos, like Samsung Galaxy S5. It would compete with ( VS Rival ) Sony Xperia Z2, Samsung Galaxy S5, Gionee Elife e7, HTC ONE M8, Oppo Find 7 and Vivo Xplay 3S. Sony Xperia Zl2 is company’s latest flagship with vigorous specifications. It has IP55/IP58 rating for dust and water resistance. It has 3 GB of RAM and 32GB of ROM ( internal storage ). You can expand the memory up to 128 GB. It offers 4G LTE / WiMaz 2+, WiFi a/b/g/n, Bluetooth 4.0with APT-X, GPS / GLOnass, HML 3.0, micro USB with USB OTG and NFC support. To make the Zl-2 alive there is 3000mAh battery, which should offer good talk time and backup. The Xperia ZL2 will be available in White, Black and Turquoise colors.